Check out the May New Releases post here. 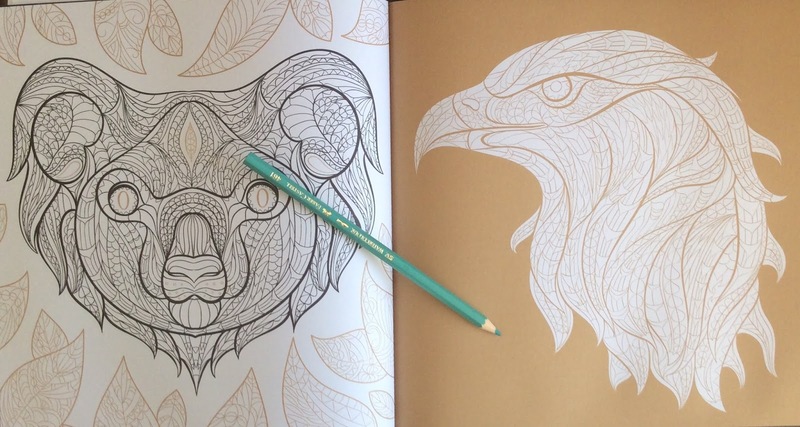 There are plenty of colouring books out there based on animal images. 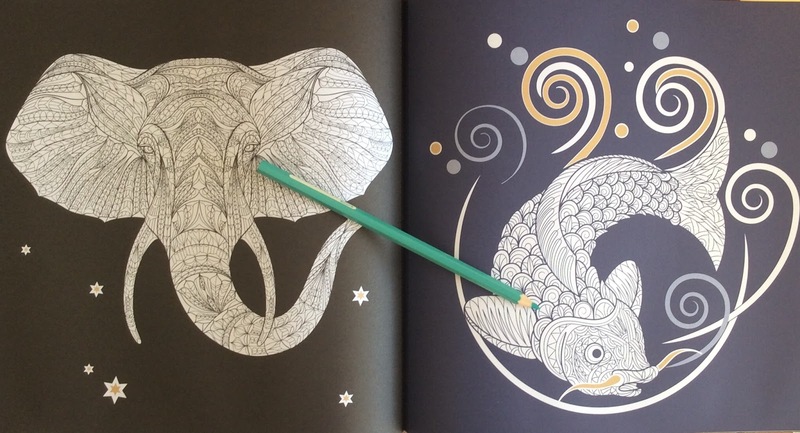 This book stands out a bit from the others for its varied coloured backgrounds. 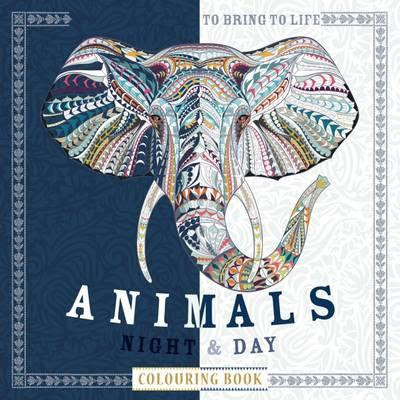 This is the first book in a planned series with future titles such as Woodland Creatures Night & Day, Fabulous Beasts Night & Day and two city books - New York Night & Day, Paris Night & Day. Who will love it - those who enjoy colouring with dark backgrounds and those who like colouring all sorts of different creatures. Comment: There has been thought go into the layout and theme of this book, that catches my eye. 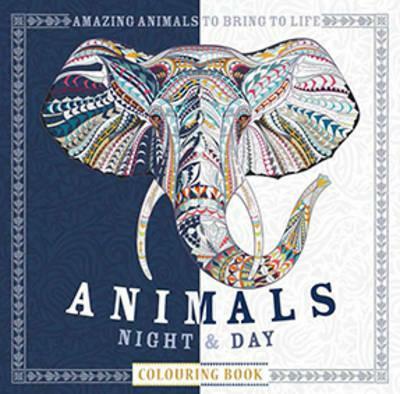 That each animal image is given two different backgrounds, using a variety of colours such as black, dark blue, gold and white, gives you scope to try various colour palettes. These images would make a fantastic wall frieze, either as night time images or day or a mix. 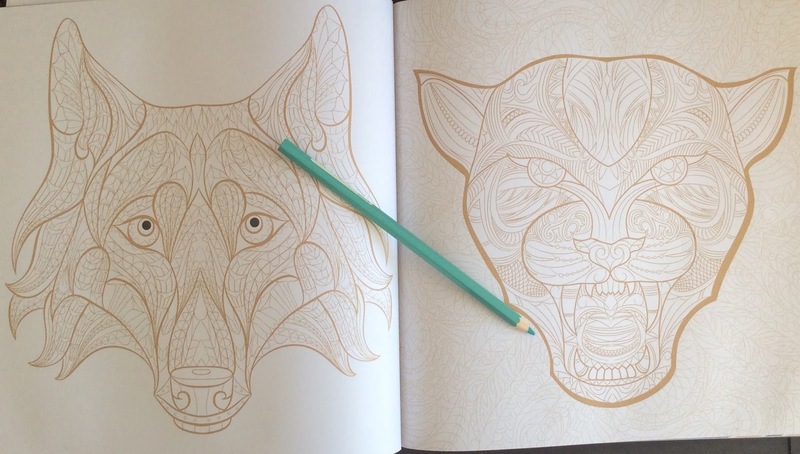 The pages are perforated to make that an easy option. 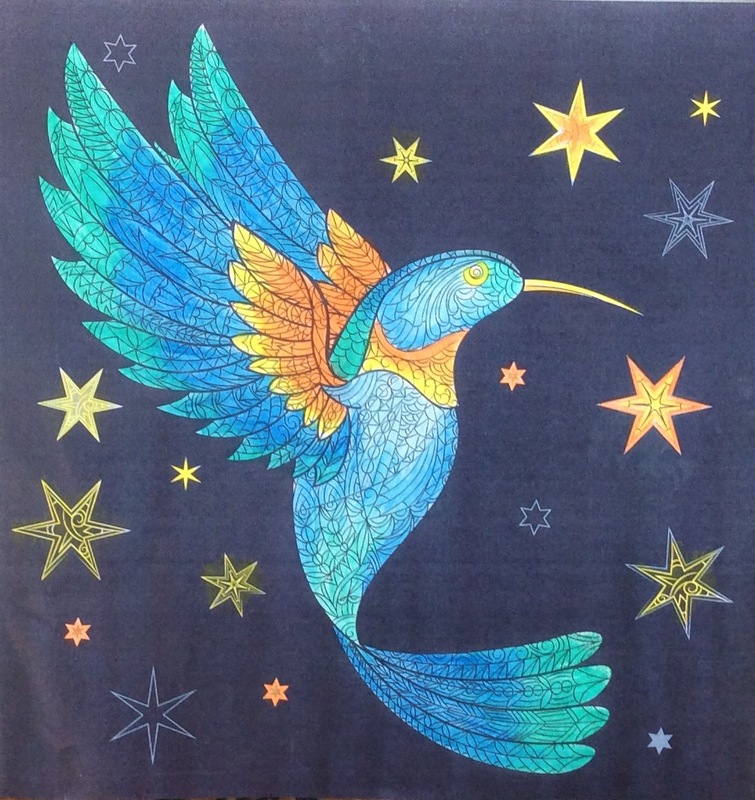 Drawing: The images are attributed to Patricia Moffett and Shutterstock. 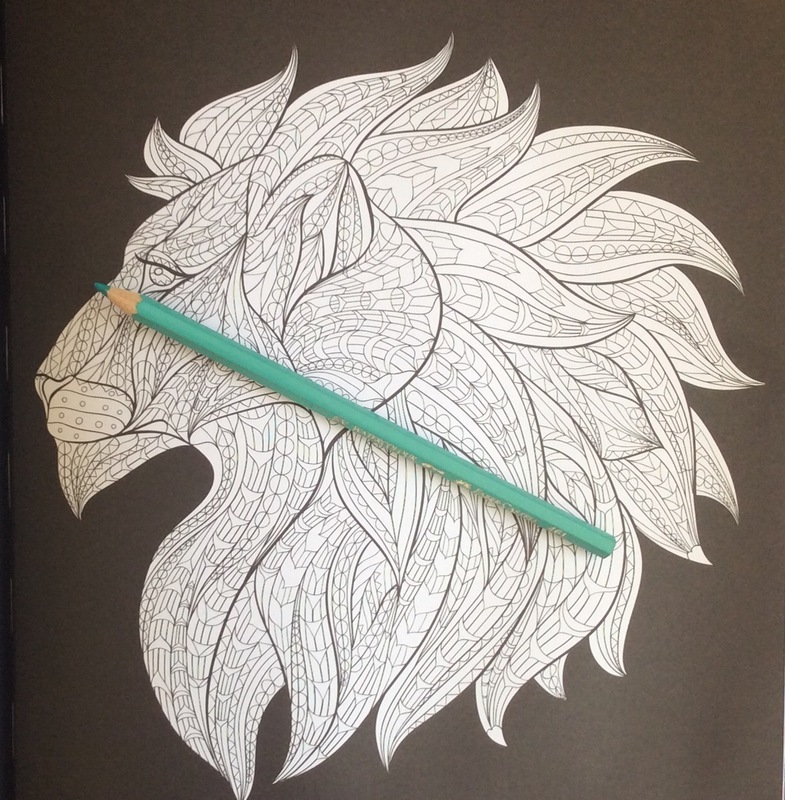 Some are more complex than others but you can see in the image I coloured that you can use the details as a texture and colour through them. Some of the images have a few background details added. Most of these creature images are face front but some are side profiles. Line length is a mix of fine and medium. 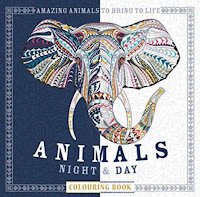 There are 45 different creatures to colour, with two images, night and day, for each creature. Layout and Paper: The cover is rather lovely with plenty of silver foil on the elephant and differing colours used for night and day. At the front there is an index naming each of the creatures in page order. All the pages are perforated and so none of the images run into the spine. 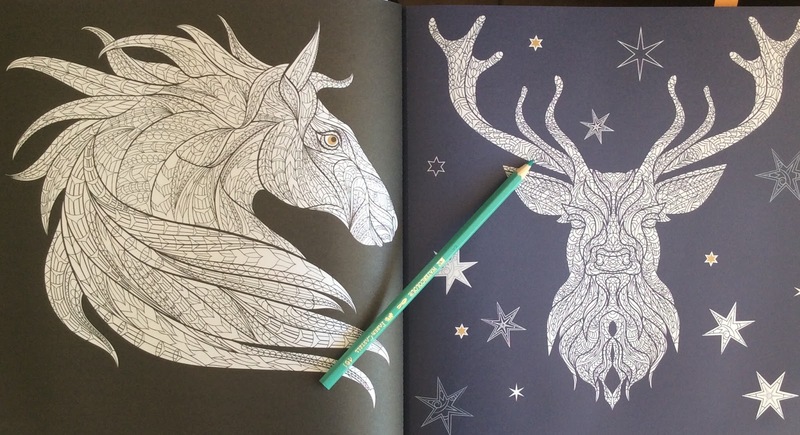 Because each page has the same image on each side, night time and daytime, you could use alcohol based pens if you were happy to sacrifice the image on the reverse. 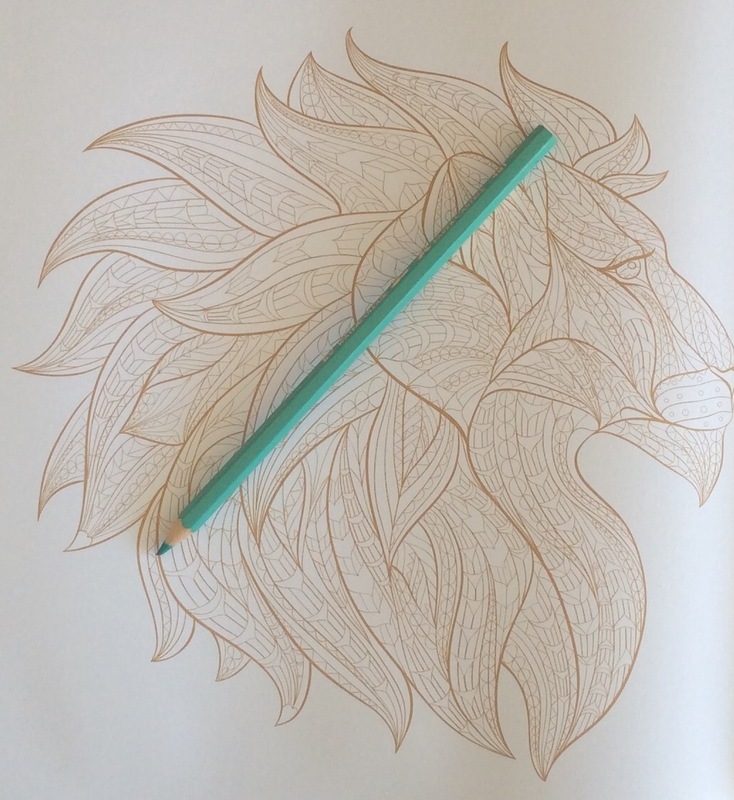 Otherwise you may get some shadowing with darker water based pens. Test your pens on an unobtrusive page first.